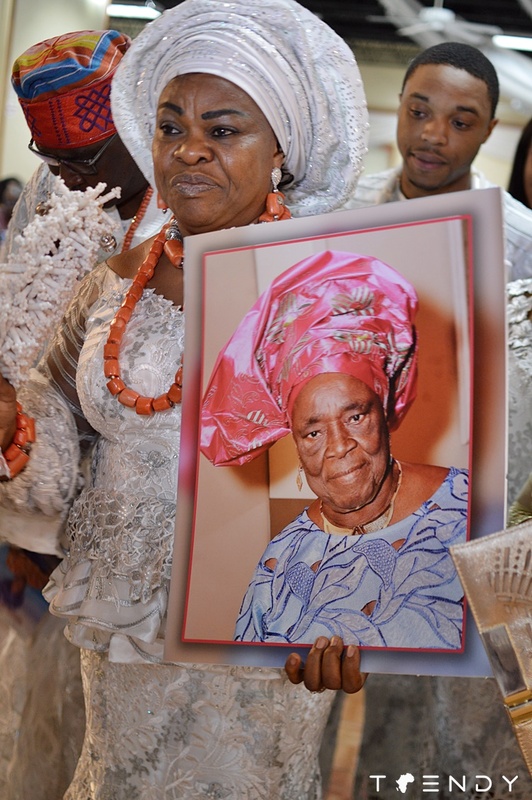 Queen Victoria Isidahomen, mother of Dallas based entrepreneur Loveth C&C, passed on recently to eternal glory in Nigeria. A celebration of life was held in her honor at the C&C grand banquet hall in Garland Texas. As expected, the venue was overflowing with family, friends and well wishers who all came to support the bereaved family. Queen Isidahomen was for a long time part of the Dallas community and will be remembered and missed for her motherly role. Social groups represented at the event include; Catholic Men Organization, St. Michael Catholic Church Nigeria Group, PCNI Arlington, Unique Ladies International, Coal City Social Club, Afenmai International Organization, Esan United DFW, to name a few.